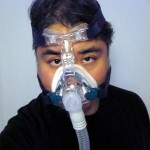 Living with the CPAP Mask is not an easy task. To achieve good results in anything worth doing in life takes time, determination and effort; it is the same with the CPAP Mask. It is estimated that around 18 million people suffer from sleep apnea in America alone. Of this very few realise that they suffer from sleep apnea and from this small population only a few manage to adjust to their CPAP therapy. Sleep apnea is a dangerous medical condition, if you suffer from it; you run the risk of not breathing smoothly and consistently throughout the night. When a person suffers from this condition stops to breathe in the night it is known as an apnea, these apneas depending on their severity can lead to a number of dangerous side conditions such as increased blood pressure, heart attacks and even death in rare cases. While there are many treatments available for this dangerous condition, the best treatment till date is CPAP (Continuous Positive Airway Pressure) Therapy. This therapy involves pumping pressurized air into your airway to keep it from closing, thus allowing you to breathe freely and continuously throughout the night. 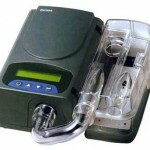 Why is CPAP Therapy Hard to adjust to? Pressurized Air: Pressurized air is much harder to breathe in than normal air (this is the reason it gets harder to breathe as you go higher in the air). But pressurized air is necessary to keep your airway open (thus preventing apneas from occurring). This is the first major obstacle to CPAP therapy and it does take time and effort to get used to it. 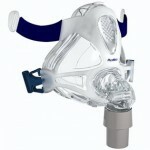 CPAP Mask: CPAP Therapy requires an effective system which will both deliver the pressurized air while simultaneously preventing the air from leaking into the environment. Thus a CPAP mask is necessary for the therapy to work. However no one wants to wear a mask (which looks like those used by Hazmat teams) throughout the night and every single time they sleep. 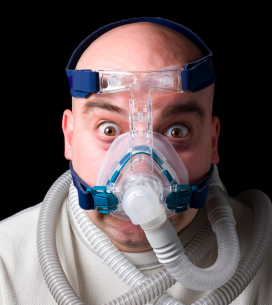 Sleeping with a CPAP Mask is harder than normal, because of the added weight and pressure on your face. How to Adjust Faster to CPAP Therapy? The fastest way to adjust will be to obviate the above two major disadvantages. Adjusting to Pressure: You can do multiple things to adjust to the pressurized air. Firstly you can buy a humidifier which will add humidity to the pressurized air; thereby making it easier to breathe. You can also try purchasing a Bi-PAP or APAP machine which will automatically change the amount of pressure in the air depending on whether you are inhaling or exhaling, thus making it easier. Adjusting to the CPAP Mask: The major issue of the CPAP mask is its weight and size, to counter this issue, CPAP Mask manufacturers have come up with many designs and materials used for constructions. Today you can get a CPAP mask made of cloth to leather which will both weigh lower than normal and add to your comfort level. 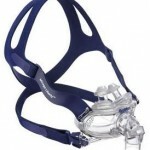 Additionally some masks are designed as mouth only CPAP masks which are smaller than normal thus lowering weight. As you can see the options available to you are many. Keep sticking to CPAP therapy, and most importantly never give up. After a few weeks of trying you will notice that CPAP therapy has become a part of your life and that you have adjusted completely to the CPAP mask. 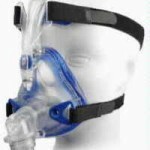 Thus living with the CPAP mask requires only patients, a little bit of research and a lot of effort from your part.